From our family to yours, we would like to share our farm as a venue for your special occasion. We have several different packages to offer you for weddings, parties, or any other occasion. 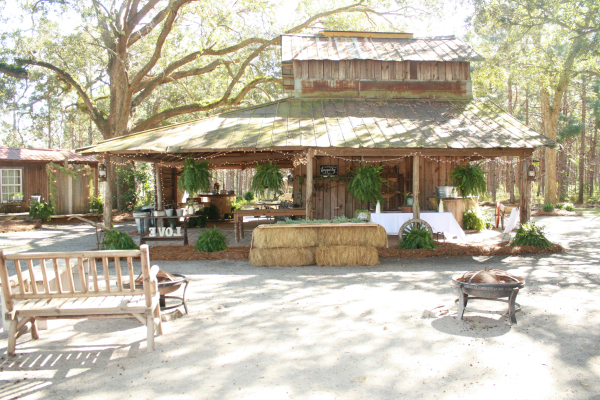 Our venue is set up for your special occasion with lighting and an overall elegant country setting. Our 100-year-old barn completes that special look. We are very family oriented and would love the opportunity to make your event special. We are here to provide you with several affordable options to fit your needs. Our team will prepare the venue to meet all of your needs. Clean up of the venue is included in the package price. We have several additional options that can be added to the package prices. We are offering these low prices and services to provide your family with affordable options to make your event stress-free and wonderful.